If you try calling the Singtel hotline 1688, you will spend most of your time to navigate the maze of options trying to speak to a human Singtel Customer Officer. I have not managed to successfully find the option to speak to a human Singtel Chat Agent through the hotline, if you know the method please comment below! 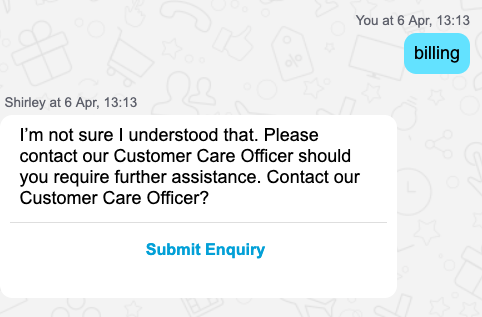 Also, do not bother speaking to “Shirley” on the Contact Us page (https://www.singtel.com/contact-us). 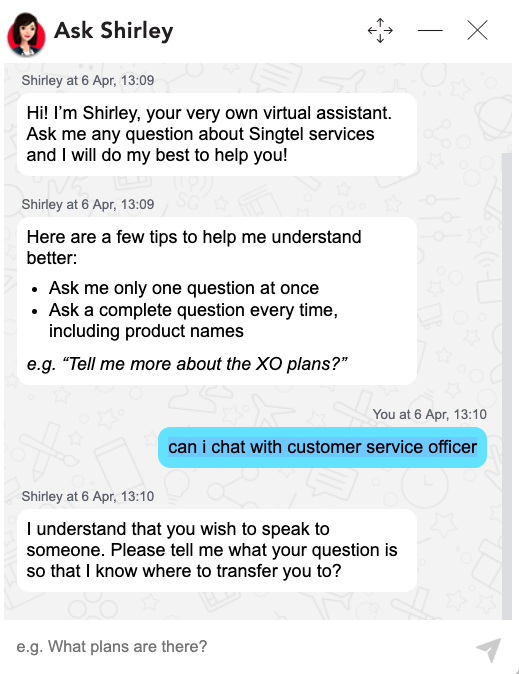 It is quite clear Shirley is not a human, but just a bot. Type “can i chat with customer service officer”. 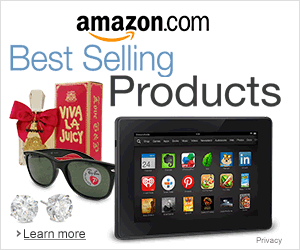 Type in the category of your question, e.g. “billing”, “voucher”, etc. Bingo! You are now connected to a Human Chat Agent! From trial and error, this is the easiest way to get to speak to a Human Singtel Customer Service Officer/ Chat Agent. 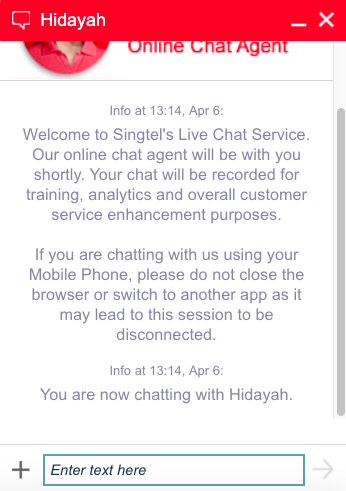 There is no direct link to chat with a Singtel Customer Representative. For the above method, you don’t even need to login to your Singtel account. But you may be asked your name and NRIC for verification purposes. This entry was posted in Uncategorized and tagged customer service, human, singtel. Bookmark the permalink.